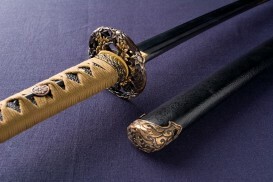 The Tsukamaki used by the Christian Daimyos, Omura Sumitada, Arima Harunobu and some of their Samurai. 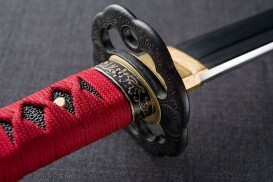 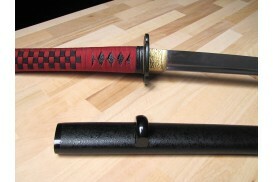 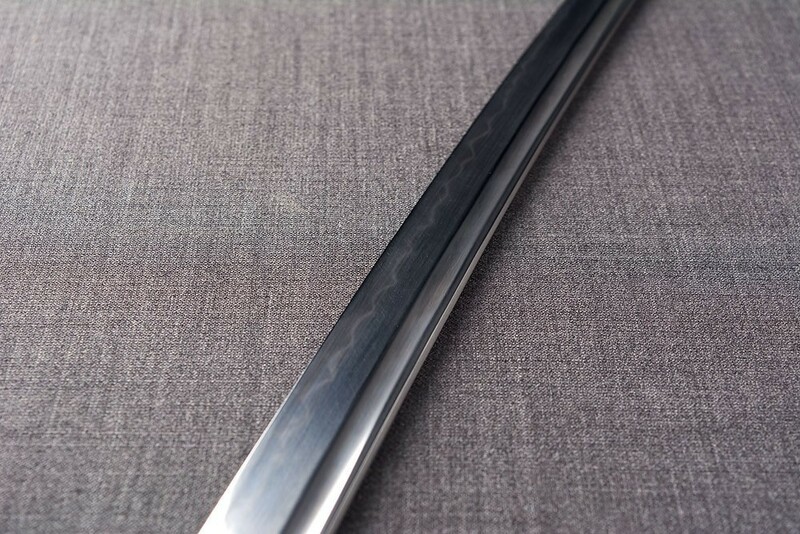 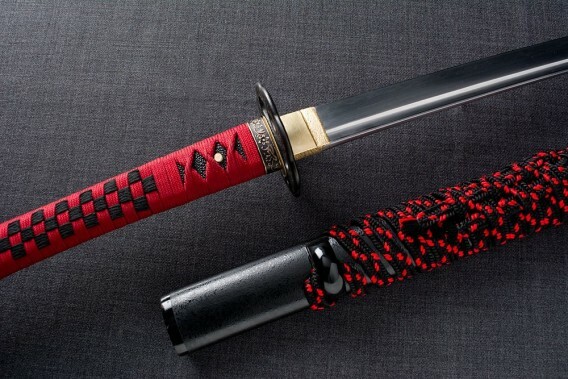 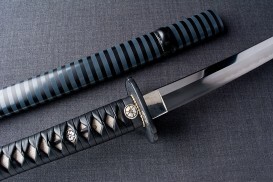 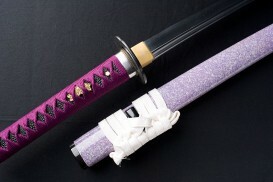 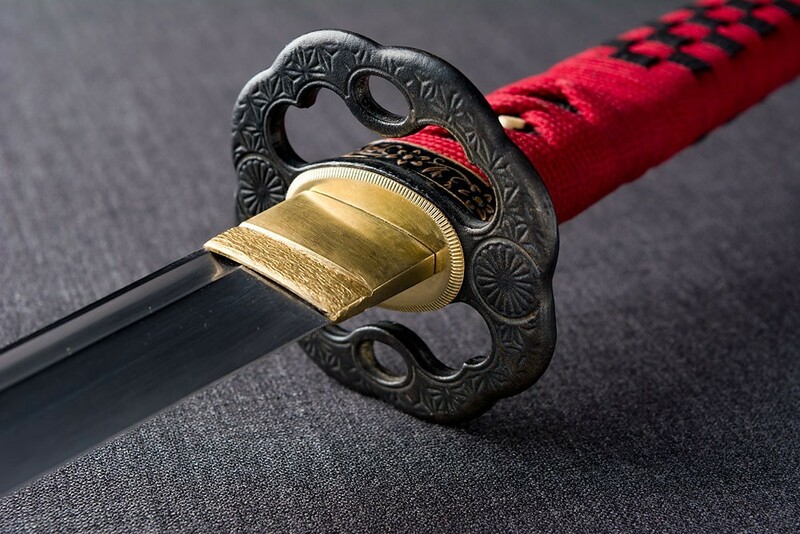 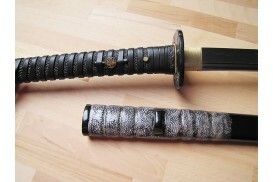 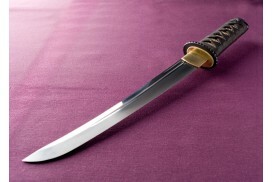 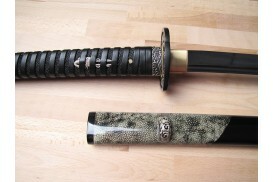 It is the only style of Tsukamaki attributed to the Christian Samurai. This typology is still unknown in the commercial sector, although curiously it is a beautiful, genuine and interesting style. Giu Kawa Kumiage Maki encompasses a significant charge of symbolism with Christian doctrine. It belongs to the Katate family, in other words, with the centre wrapped but with the peculiarity of three strips added at both ends forming crosses in the central area. 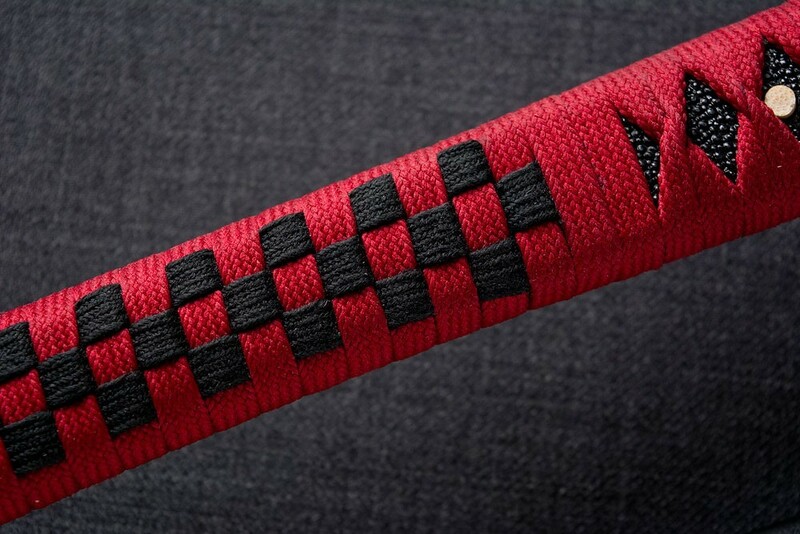 These three strips encompass special symbolism as it is an allusion to the Christian mystery of the trinity. 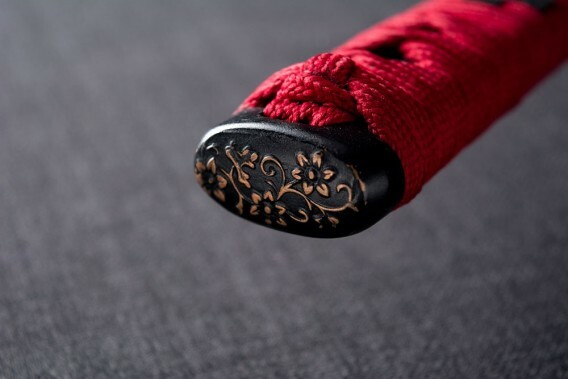 These Tsukamakis do not have the traditional obligatory Menukis, as the Maki itself uses the crosses formed by the Ito itself as the only ornamentation. 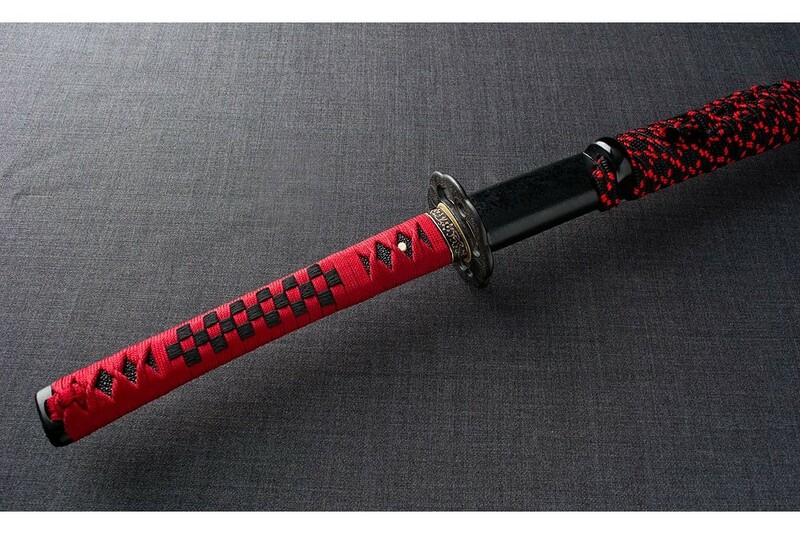 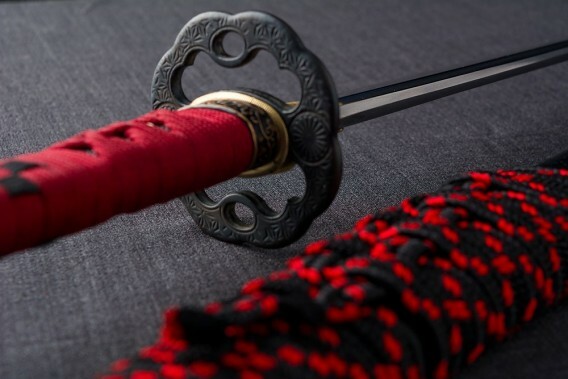 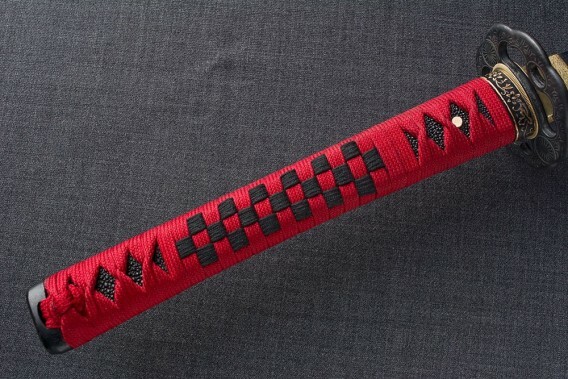 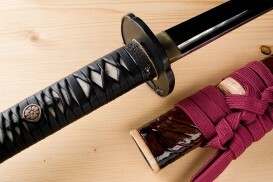 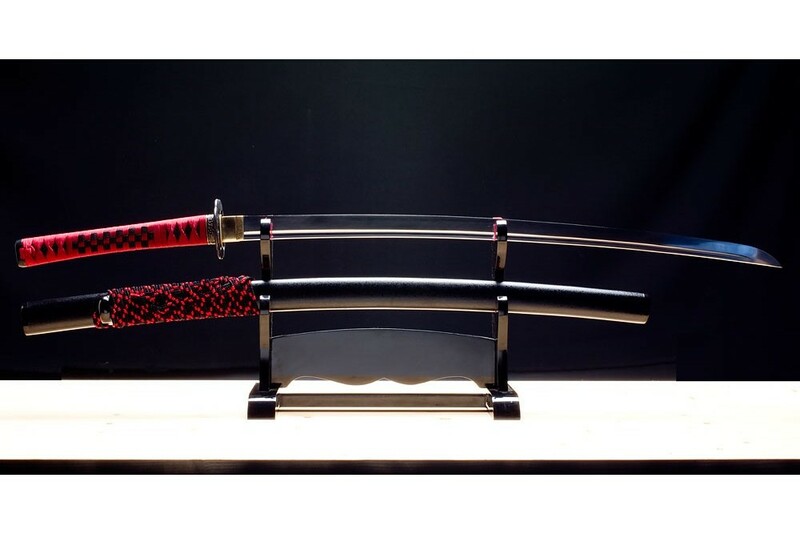 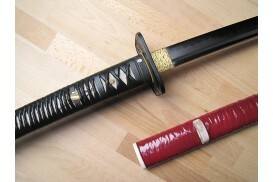 For this design of this Koshirae it was decided to use the colour maroon for the general Maki and black for the three strips which form the crosses, therefore making them more visible.